March 6, 2019, 1:31 a.m.
Feb. 5, 2019, 8:43 p.m.
What do I see? Some fun folks who helped put together a Lunar New year celebration for the Parsippany building, some bright red clothes and decorations to usher in the new year, and delicious, Taiwanese-style pineapple cakes. Happy lunar new year! 新年快乐! 新年快樂! Feb. 5, 2019, 6:06 p.m. Celebrating the Lunar New Year with colleagues in our Parsippany office! I love learning about the different cultures, holidays and experiences! Dec. 21, 2018, 10:36 a.m.
Great week in Germany ending a successful 2018 with my colleagues! Now back home to relax and recharge for 2019! Dec. 7, 2018, 3:01 p.m.
Evonik comes together as a global company. We have people from different cultures, and we all work together. Dec. 4, 2018, 5:08 p.m. Spending the afternoon with colleagues in NYC supporting the American Chemical Society! Nov. 28, 2018, 6:23 p.m. 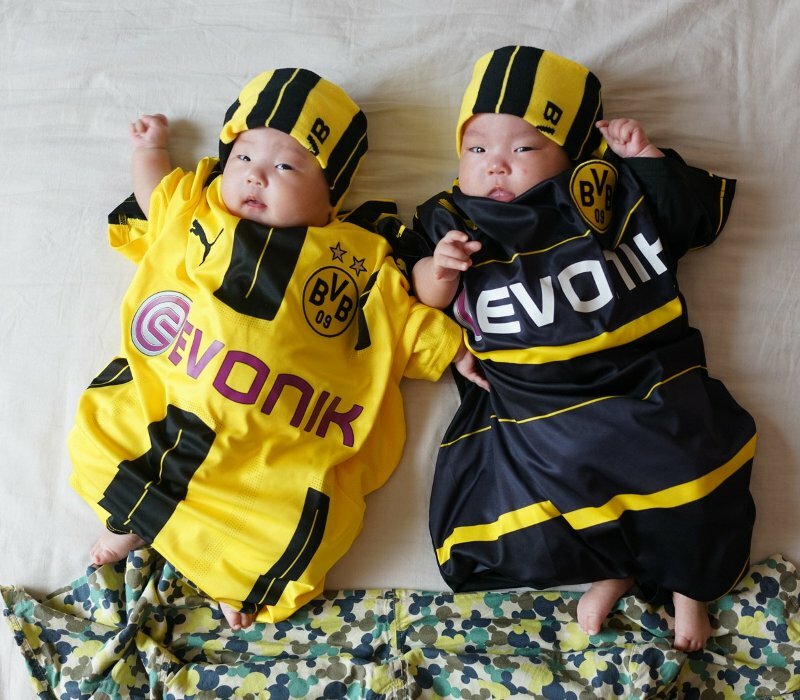 When international colleagues meet... Let's go BVB! Sept. 4, 2018, 2:14 p.m.
UNITECH General Assembly in Gothenborg - Great way to get in touch with ambitious and motivated engineering students from all over the world! Aug. 20, 2018, 8:57 p.m. 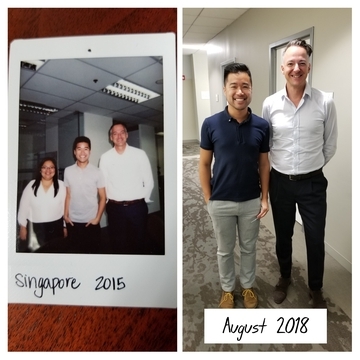 In the summer of 2015, this guy hired me to join his HR team in Asia/Singapore. Three years later, we're reunited—we're both still in HR, but in new jobs and different countries. Do we still look as youthful and wise? Thanks Matthias. Aug. 14, 2018, 2:50 p.m. Bringing together some great minds at Georgia Tech to explore the possibilities of the future specialty chemicals industry. 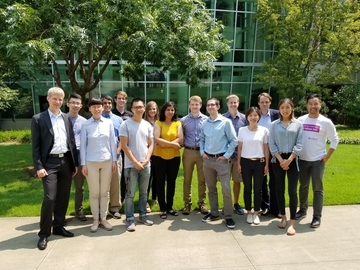 Thanks to the PhD students and post-docs for sharing their thoughts and insights with our Corporate Foresight team.